Nice piece Russell. For those who might be interested in such things, this is an historic concert - read the Youtube blurb if you need more details on why. I assume you didn't get to Prince on Wednesday, Russell? Missed something quite extraordinary. Regarding that earlier posted famous gif which failed to embed correctly (which I thought was brilliant), here's the backstory and some more of the artist's work. 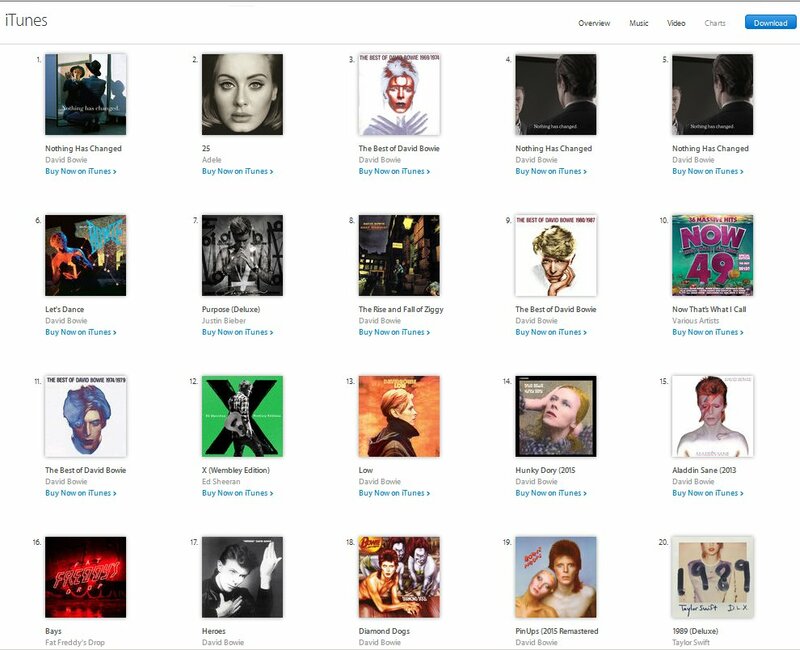 NZ iTunes album chart as of about 10 minutes ago. In an amusing piece of synergy, former Listener music writer, Nick Bollinger's kids are 2/3s of the White Man Behind a Desk team. "Prime Minister John Key says he and the head of GCSB would resign if the spy agency were found to have conducted mass surveillance." I watched the Campbell Live show yesterday as I saw it was filmed in the Manganui Fish Shop. Imagine my disappointment when I learned the show wasn’t based on Snapper at all. I won't stand for his fish-based deception, John Campbell. This made me laugh... hopefully it embeds rather than links. Fantastic news, and the timeslot is completely irrelevant - I don't think I've ever watched the show live.